Vanessa *loves* dogs and wanted a poodle theme for her party. 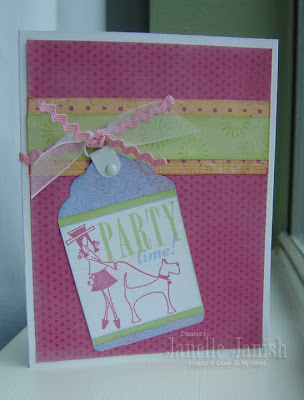 Sadly, I have no poodle stamps, but I do have a retired CTMH stamp set called Uptown Girl that seemed to fit the theme well enough, and this is what I came up with. This particular design is called Designer Tag and is featured on the front cover of CTMH's latest Card Confidence Program, called "Wishes". I *love* this book. 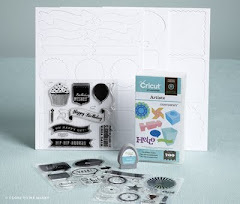 It has great pictures of cards and updated designs which make for easy card creation. Recipe for this design is on page 97. Grab your copy and look it up. Don't have a copy? Shop for one HERE!